Everton confirmed the signing of Kevin Mirallas from Olympiakos of Greece. The Belgian was the tops scorer there last season. He seems to fit the 'Moyes' player role. He can play in a few positions though he seems to prefer to play just behind the striker. For 6 Million Pounds, that seems to be a fair deal in the current climate of transfer deals. The big concern is whether he can fit into the team and adapt to the EPL pace of game. We say how Bilyaletidinov struggled and eventually he left last season. Perhaps Moyes may bring in another player. With Cahill and Yobo leaving; their departure released the salary budget of that 2 players. And Rodwell's transfer income looks like it will be re-invested. 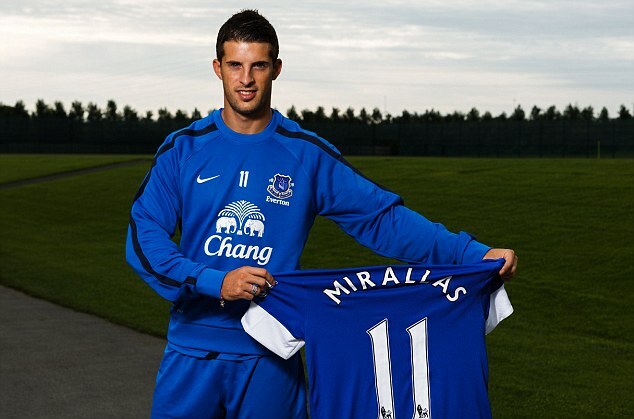 In the meantime, we welcome aboard Mirallas.